Business Walk 360 is also Google Business Trusted Photographer-certified so we are one of only a select few number of businesses in Los Angeles that are authorized to photograph and publish your 360 degree Google Streetview Trusted virtual tour directly to Google Maps and Google Search Engine for your official Google business listings. 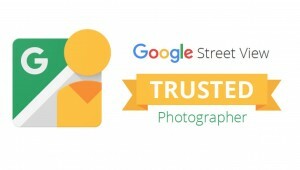 Google Maps Streetview Trusted Photography virtual tours transform your Google Search Results into a 360 degree immersive experience for your business. We offer Google virtual tour packages which include a Google Maps Business View 360 virtual tour & a set of static 2D feature photos. Business View 360 Virtual tours harness the same innovative Google Streetview 360 degree technology used in Google Maps. Business View Virtual Tours enhance your Google Search & Google Maps listing to stand out from the competition by adding a special “See Inside” virtual tour button that shows up prominently in Google search result listings and stay indefinitely on your Google business listing page for the long term as Google offers free hosting.